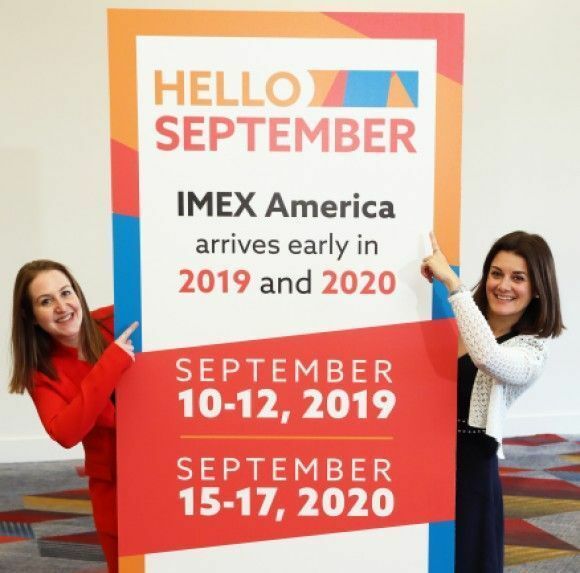 As the industry continues to buzz with energy, business opportunities and ideas from the bigger than ever IMEX America 2018, organizers want to remind everyone that next year’s IMEX America remains at the Sands Expo but the dates are moving up. In 2019 the IMEX America show will hit the strip September 10 – 12 preceded again by the popular Smart Monday, powered by Meeting Professionals International, on September 9. While marking calendars for next September for IMEX America, the global industry is again invited to come together this spring for IMEX in Frankfurt May 21-23, 2019, with EduMonday on May 20.